This class has it’s roots way back when the class was adopted by the MYA in 1929. Since then the rule has been revised a few times but remains generally the same as it was all those years ago. This is a classic class and has had its fair share of rules. Originally designed to develop boat design, the Class has become highly technical within the design stage, despite recent techological advancements many old boats can beat new modern boats typically due to the skill of the skipper. 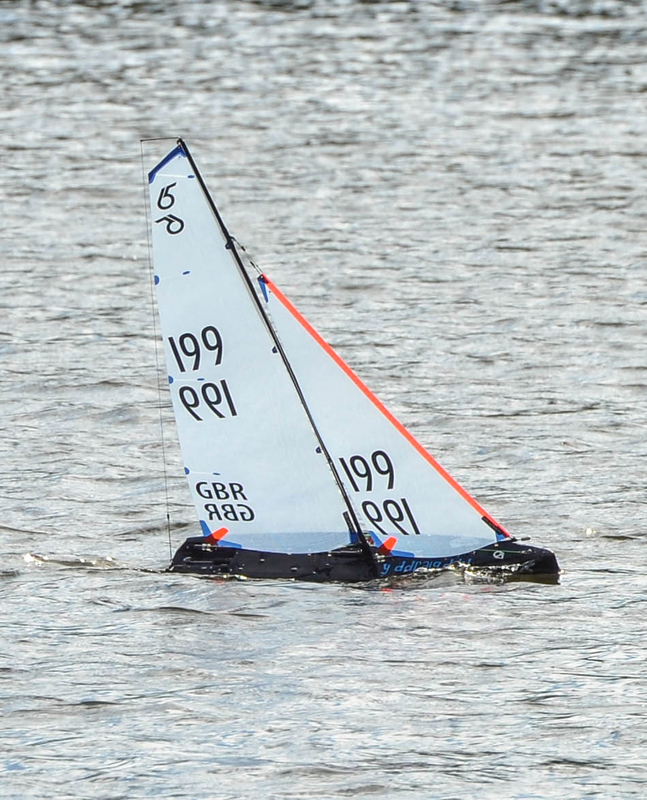 The 36R class is a developmental class with a very simple basis, the boat must fit within a 37” x 11” x 9” box. keels may not be movable while sailing. More than one suit of sails is allowed. Spars are not included in the box measurement, and this includes bowsprits, if fitted. Removable fittings are also not included in the box measurement, and steering vanes are typically mounted on a bracket hung off the transom. It is important to note that draft is not specified, the maximum depth includes the freeboard, from the top of the deck to the bottom of the keel. The rules are for both free sail and radio controlled boats. 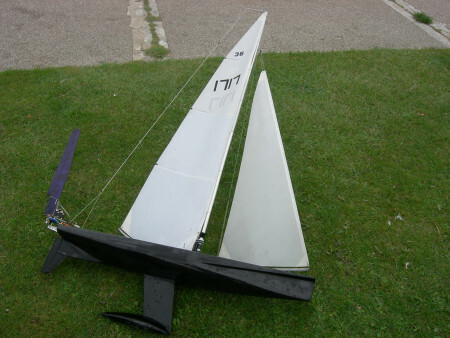 For more information on the Vane 36R the best place to start is probably the Vintage Model Yacht Group, follow the link below. There is also opportunity to sail other vane boats at West Shore ,however there is a depth restriction which means that realistically this is limited to classic and vintage models which don’t have a draught of more than ten inches. Llandudno Model Yacht Club can facilitate A class boats but there is, as always a depth restriction which if exceeded can ground your boat significantly thus having to wade out into the lake to collect it… which is a lot of hassle and so it is wise to speak to an advisor before launching a boat of any size larger or equal to the A class. To find out more about Vane Sailing at West Shore contact the Vane Sailing Secretary, using the contact form at the bottom of the page. The RG65 rule was written more than 40 years ago in South America where the class has a great following. In essence the rule is a mini Marblehead as the boats are roughly half the length of their larger sisters. The overall length of 650mm and a maximum rig height makes these great little boats very portable. As a development class the rule permits exotic materials, multiple rigs, multiple keels and as much imagination as you can muster! A top flight RG65 will cost close to £2000 but there is a new boat which was launched in 2013 called the Dragon Force 65 which is a readily available and cheap ,entry level boat which is RG65 class legal and even in top spec trim costs no more than £400. This class is just beginning to find it’s feet here in the UK and it is beginning to attract top skippers and designers who can see the benefits of a compact boat. There is a Dragon Force 65 race series scheduled for 2014 currently boasting nearly ten race dates. Any RG65 is welcome to sail at Llandudno however the boating lake has a depth restriction which may require a short keel to be used. For more information on RG65’s or the Dragon Force please follow the links below. You can also sail other radio classes however as mentioned earlier there is a depth restriction of around ten inches which means larger yachts such as the IOM and M would not be suitable. For more information about Radio Sailing at West Shore contact the Radio Sailing Secretary using the contact form below.